Audio and video recordings relating to Lovecraftian media and games in general. A mix-tape of various skits and vignettes from the Innsmouth House studio. The Upper House, a track from the Tatters of the King soundtrack. Darkness Descending Outtake: Mary Poppins! Outtake from a recording of the Darkness Descending scenario for Call of Cthulhu. An audio advert for The Express Diaries. The original advert for Lovecraftiana (which became Innsmouth House). A promotional trailer for Innsmouth House, the little shop of cosmic horrors from Yog-Sothoth. The second advert for the old Yog Radio show, featuring a well known time traveller. Robin Hardy (Director of The Wicker Man), introduces Yog Radio. Justin Woodman gives a lecture series on H.P. Lovecraft at Treadwell's bookshop in London. A promo for patronage of Yog-Sothoth. A trailer for the Bookwyrms podcast - a Science Fiction and Fantasy Book Club. A second advert for YSDC's little shop of Cosmic Horrors - Innsmouth House. News from Pnakotus: What Happened, Next? What happened after the end of the News from Pnakotus show? A reading of H.P. Lovecraft's, The Music of Erich Zann. A pilot for a pulp audio drama. Recorded by the Whartson Hall Gamers. Outtakes from recording the second Innsmouth House promo. A reading of the second poem from H.P. 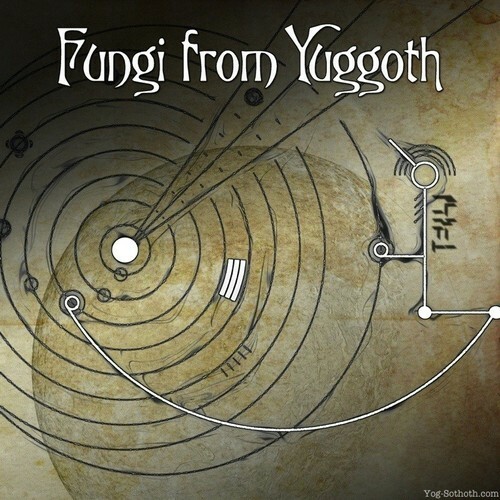 Lovecraft's sonnet cycle, the Fungi from Yuggoth. A lecture on H.P. Lovecraft by James Holloway at Treadwell's bookshop, London. Justin Woodman gives the first of four lectures about H.P. Lovecraft at Treadwell's bookshop in London. The Powerpoint files for Justin Woodman's lectures on H.P. Lovecraft conducted at Treadwell's bookshop. London. An interview with RPG author, Graham Walmsley, conducted by Pookie. Outtakes from Fin's reading of HPL's tale, The Music of Erich Zann. Recording of the moment YSDC won an ENnie award at Gen Con Indy, 2006.